What happened to the buildings of tomorrow that would be built to solve all of our traffic problems? 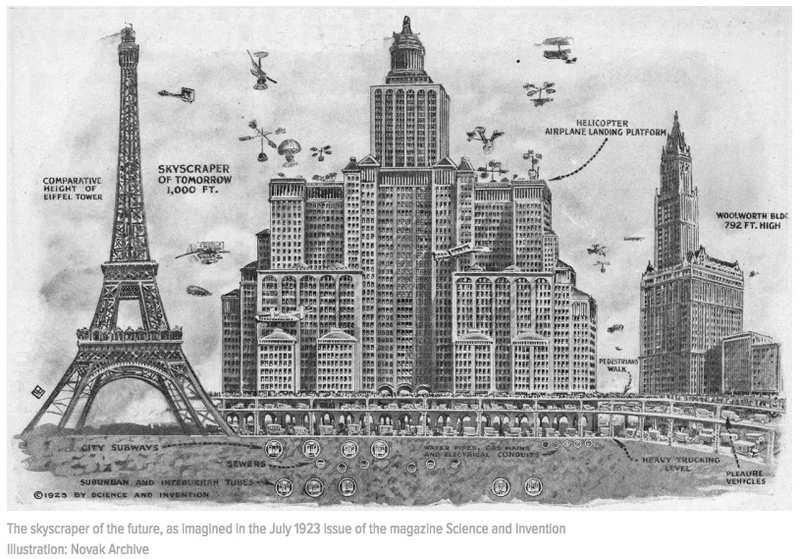 Flying cars were supposed to land on "landing platforms" at the top of those skyscrapers and help make cities like New York look hyper-modern. No flying cars the last time I looked up, how about you?! The designers who dreamed of tomorrow’s skyscrapers looked to the sky, and New Yorkers of today, plagued by a dysfunctional subway system, probably hope that city and state leaders (or perhaps movie stars and visionaries) would revive such old fashioned concerns. Dwayne Johnson, meet Elon Musk. Let's see what you can do! Can You Text On Your Phone While Stopped at a Red Light Without Getting a Ticket?